Contrary to the title, “vapor​.​midi​.​muzak” is not filled with MIDI music as the title suggests, more so it’s a chilling experience back to the ambiance/aesthetic of the 90s where technology hasn’t taken over yet and everything was still a wonder to a lot of people. You didn’t have danger around every corner, you could just sit back… relax and chill to whatever you fancied and the artist behind it… FM Skyline… does an amazing job here. It’s electronic sounds are grungy but smooth at the same time, as if it’s been crystalized but still remained intact. It helps to create a world of relaxation that’s smooth but realistic at the same time. Multiple sound effects are also layered throughout making the music feel more magical and awe inspiring, it gives variety to the music making this album more than just one in the same. 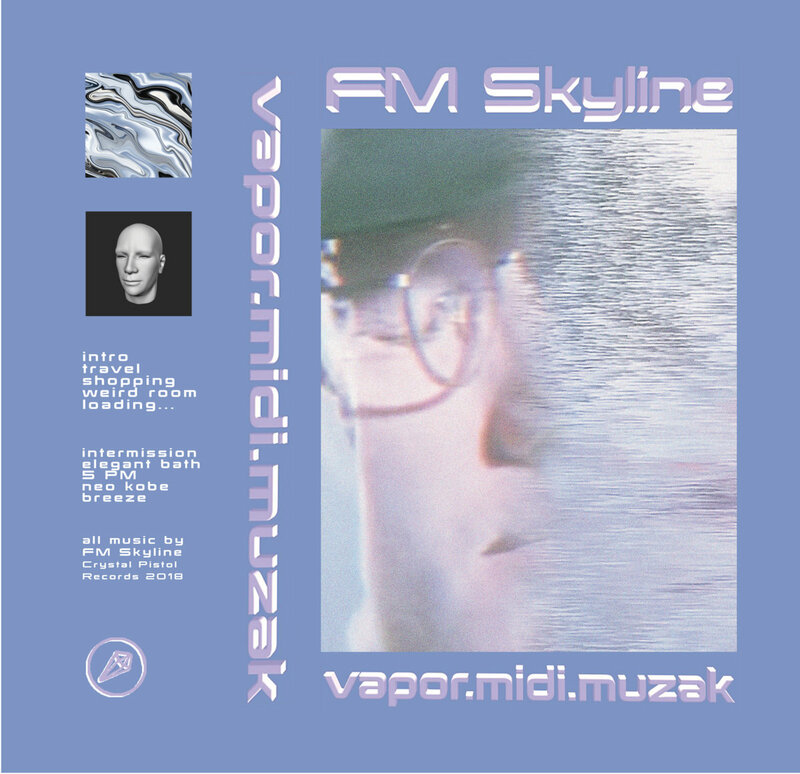 This album really shows off FM Skyline’s production abilities in taking sounds and making them feel fresh and chill; when given sounds to manipulate, he does so in a futuristic, sort of nostalgic way that shows that whatever the challenge, he is up to it. I cannot stress how versatile this album is; it takes you through so many styles and so many eras that you’d be forgiven if you couldn’t determine which era it was from. The aesthetics here are mellow but visible at the same time, it promotes what the album is and makes the album stand out from other albums with FLORAL SHOPPE inspired styles. You get bits of the 80s and 90s here and there but the result of the album is a futuristic album that seeks to promote only the happy vibes with none of the negativity. I’m personally impressed by the artist’s choice in sounds as he uses melody and rhythm to put you in a relaxing mood for which it’s hard for you to get out of. There’s a lot of groove in this record for which you can’t deny, while the quality may not be sufficient for most people, this is the kind of false nostalgia vaporwave junkies would do anything for. It’s hard to find flaws in this album, proving that FM Skyline knows what he is doing. There is none on the mastering side, none on the mixing side; everything is balanced so to speak. It has that kind of refined sound that professional albums have which is amazing considering how it was recorded. This is a statement of not only the artist, but for music in general. It shows that if you have the ambition and drive than you can do anything you want to do. This is another worthy addition to your vaporwave collection. It’s smooth, it’s slick and best of all, it’s pleasant to listen to. It’s retro-futuristic-chill vibes are unique and one-of-a-kind plus the production values are top-notch. There is no reason for why you shouldn’t get this right now.